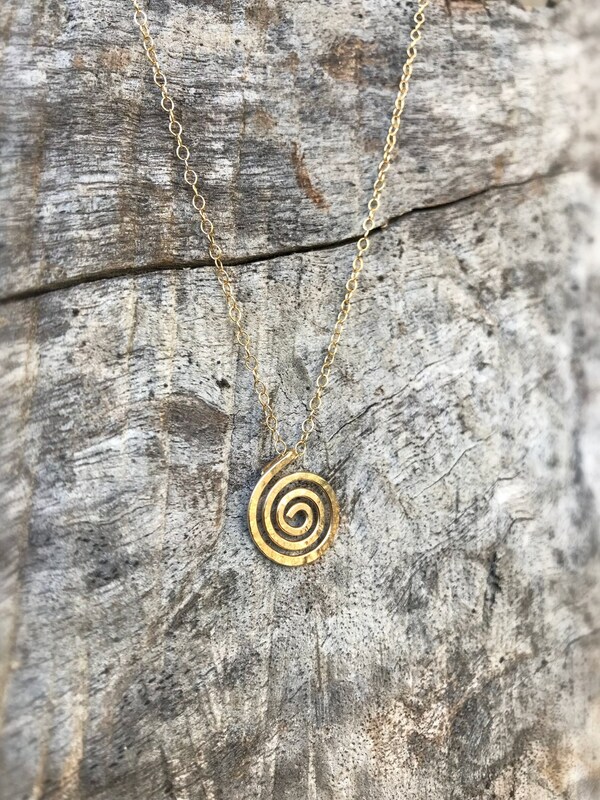 The spiral represents growth, infinite expansion, introspection, and a centered state of awareness. It is one of the oldest known symbols and to me, one of the most powerful. Let this tiny memento be a reminder of the beauty and power of the human experience and the journey of life. 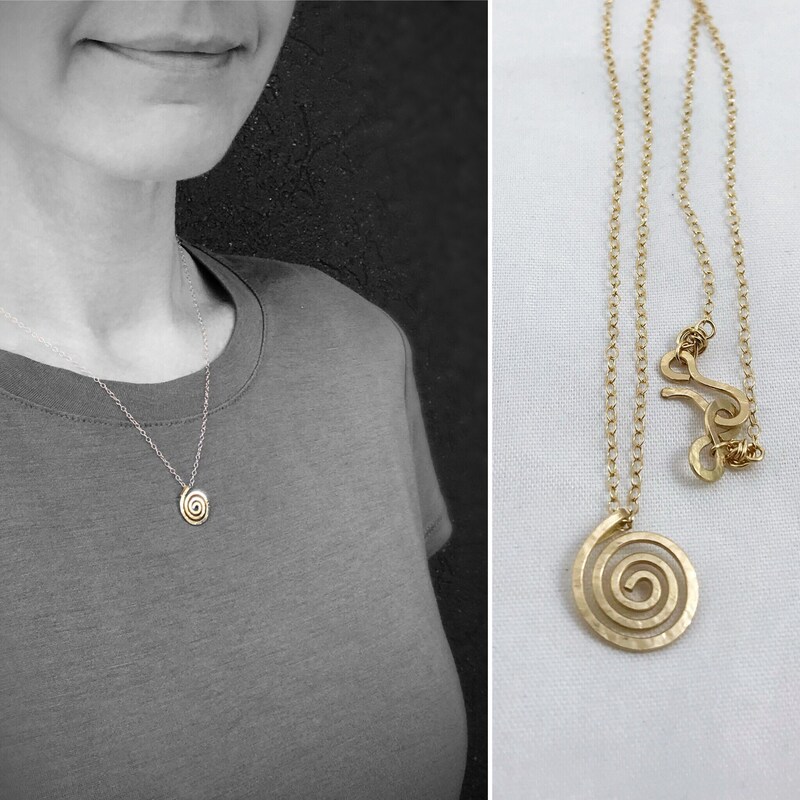 This simple and beautiful hammer formed Koru spiral pendant necklace is 14k yellow gold filled and features a subtle hammer texture. 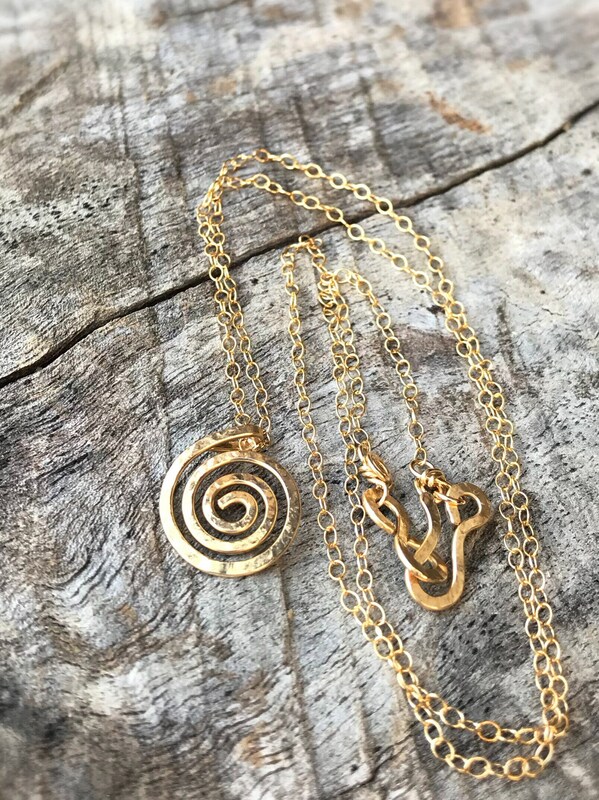 This necklace is made to order, no two are exactly the same. 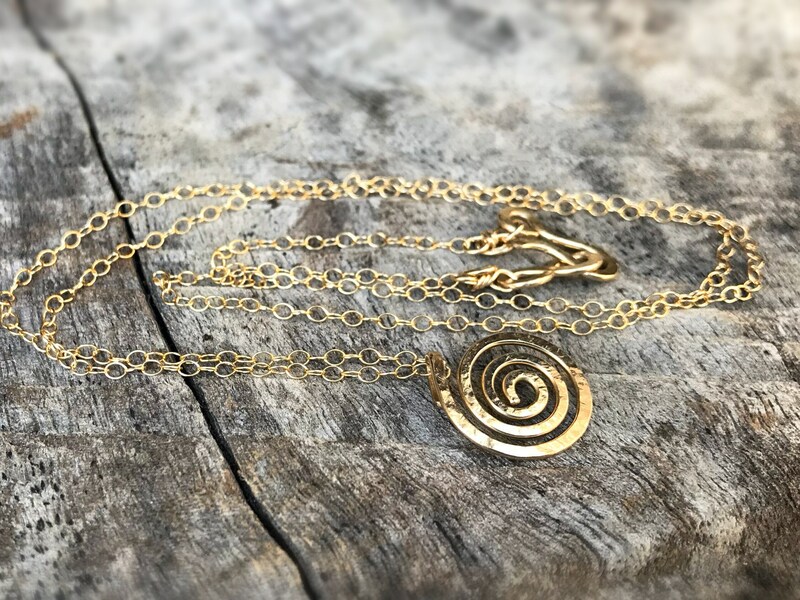 Yours will be custom created for you with your choice of chain length. 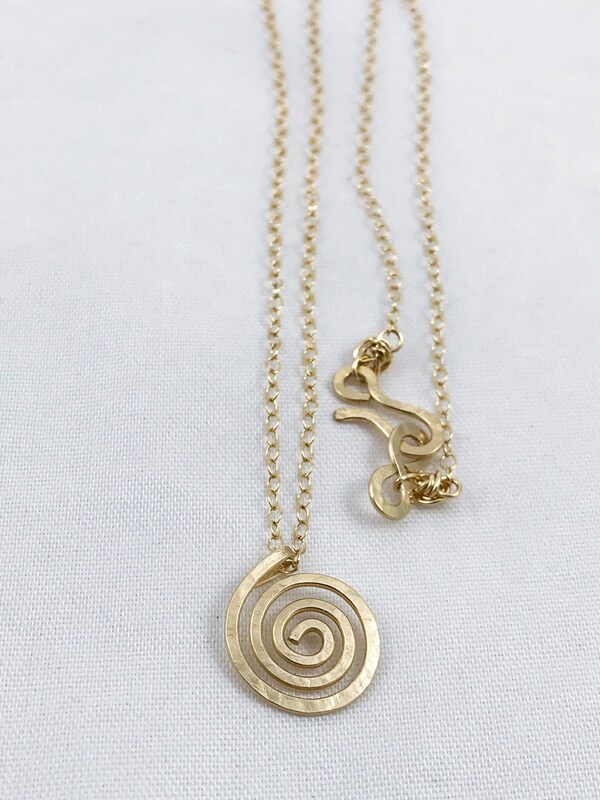 -Hammer formed 14k yellow gold filled spiral with subtle hammer texture. 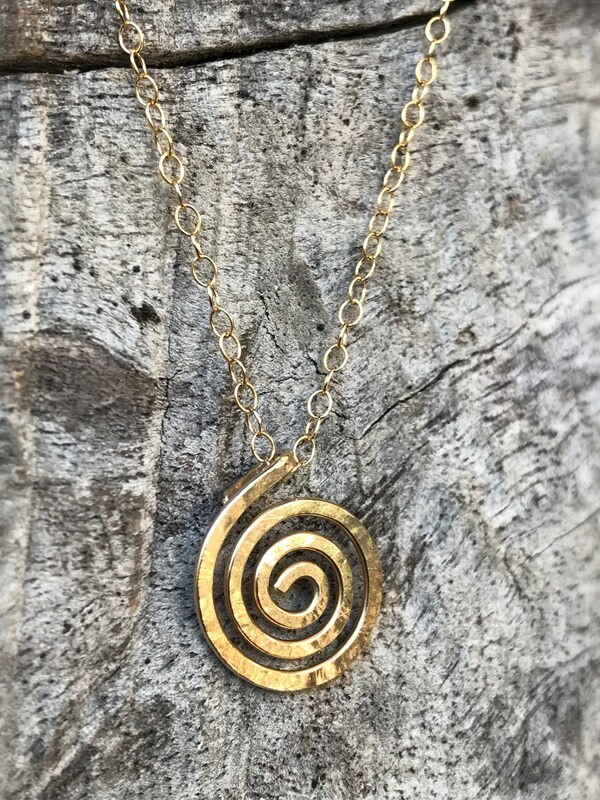 -Spiral measures 14mm tall (just over 1/2") and 12mm wide (1/2") (please allow for very slight measurement variances as these are hand formed). -Chain is a delicate 1.4mm 14k yellow gold filled cable chain and clasp. These links catch light beautifully. *Please Note* Fine chain is delicate and should be treated with due care to help prevent breakage. 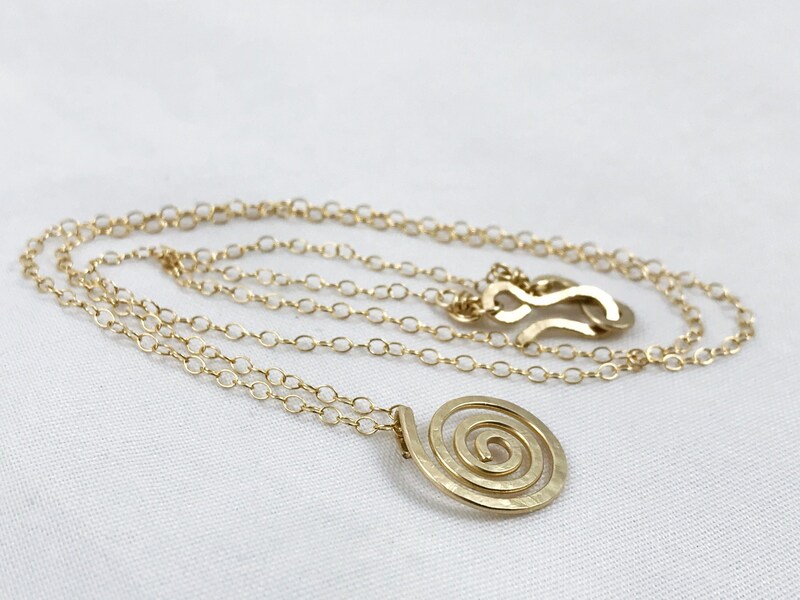 -Choose your desired chain length from the first drop down menu. 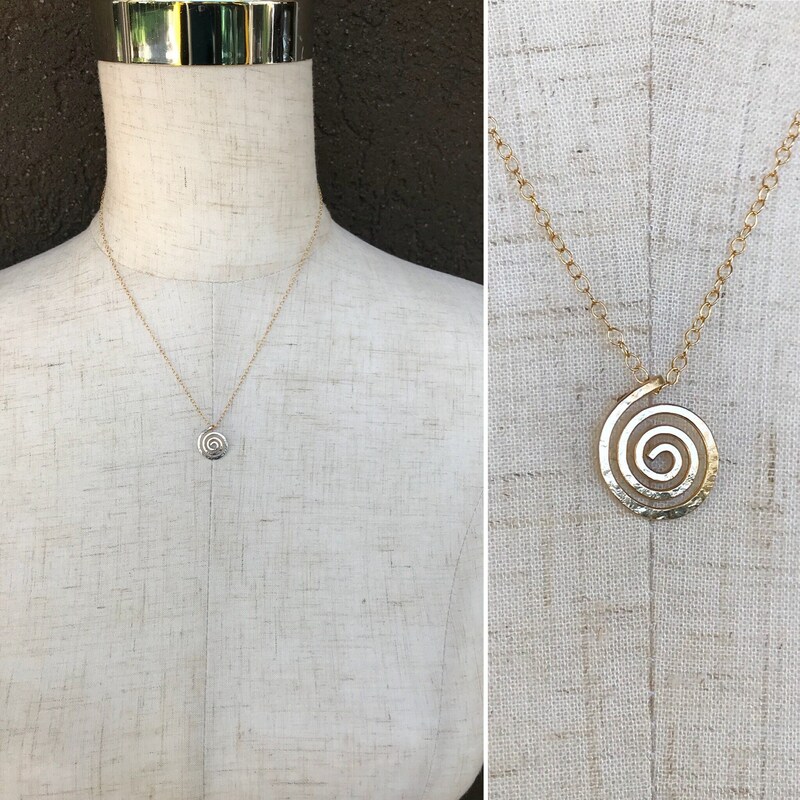 (Necklace in photos is 18" length). -Choose your desired clasp from the second drop down menu. Clasp choices are hammered hook and loop (shown in photos), or a small 5mm spring ring clasp. -These are hand formed and each one has slight variances and it's own subtle texture features, but will remain true to the design shown here.